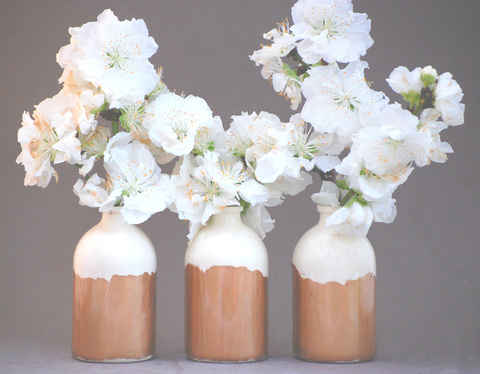 This small bud vase has been finished with a glossy clear glaze to allow the properties of the white clay to shine through and then finished with hand painted copper for an ethereal flair. Brushstrokes and pooling emphasize the artisanal nature of the piece. The vase's simple form is designed to highlight whatever it holds.